Brisbane’s hotel market is expected see thousands of new rooms come online. 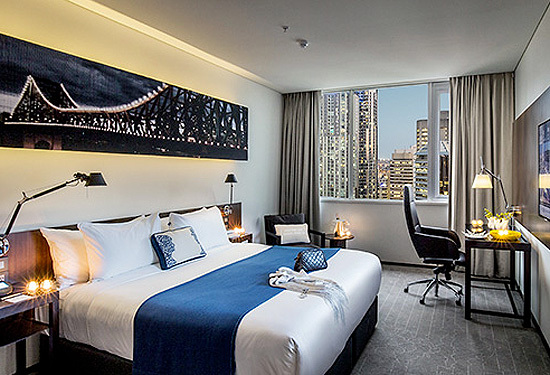 Queensland’s hotel property sector is expected to continue to see strong transaction levels, despite an influx of new room supply that is predicted to impact on Brisbane’s older and lower grade stock. Colliers International’s new Hotels Research and Forecast report predicts that activity within the state’s regional markets should improve where trading conditions have stabilised and business demand proves sustainable. Colliers International national director of valuation – hotels, Baden Mulcahy says a lack of stock in other key markets would continue to drive interest in regional Queensland. “There is strong anecdotal evidence that all of the major Queensland markets (Tropical North Queensland, Brisbane and Gold Coast) will continue to see transactional activity on the back of a lack of stock to meet investor demand that cannot be satisfied in the two preferred markets of Sydney and Melbourne,” Mulcahy says. But Brisbane’s trading market is expected to be challenged by the volume of new room supply entering the market. About 3000 new rooms will be added in the Brisbane market over the next three years, equating to a 35% increase in room stock in city’s tourism region. Brisbane has already seen a softening in occupancy by 3% into the low 70% range as a result of supply growth outstripping demand after the addition of 1500 rooms since early 2014. By comparison, the Gold Coast has risen 4% and Cairns is up 8% over the same period, pushing occupancy rates into the low and mid-70% range, respectively. The Colliers reports states that the influx of new hotel developments will put pressure on value levels, particularly for older and lower grade stock. “The new hotels are expected to gain their fair market share, which will in turn put pressure on value levels, particularly for older and lower grade stock,” it says. Mr Mulcahy adds that Queensland’s regional markets will also likely continue to show divergent trading and value trends dependent upon individual market dynamics and economic conditions. “Conditions within regional markets remain varied. Business demand generally improved across most regions, with some stability returning to markets previously impacted by the slowdown in the resources boom,” he says. The 10 largest hotel transactions in Queensland in the first half of the year equated to $534 million, with the largest deal being Silverneedle’s sale of the Next Hotel, in Brisbane, to Challenger (subject to a leaseback) for $103 million. Cockpit Hotels’ sale of Crowne Plaza Surfers Paradise to a private Singaporean investor for $54.2 million. The sale of Pullman Cairns to Shakespeare Property Group by Ascendas/TMG for $75.08 million. 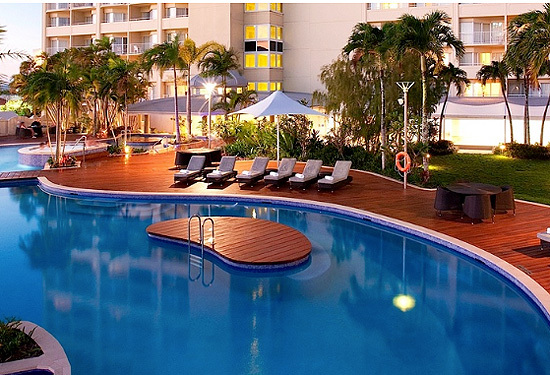 The sale of Marriott Surfers Paradise by Indonesian Rajawali Group to Marriott Vacation Club for $84.5 million.